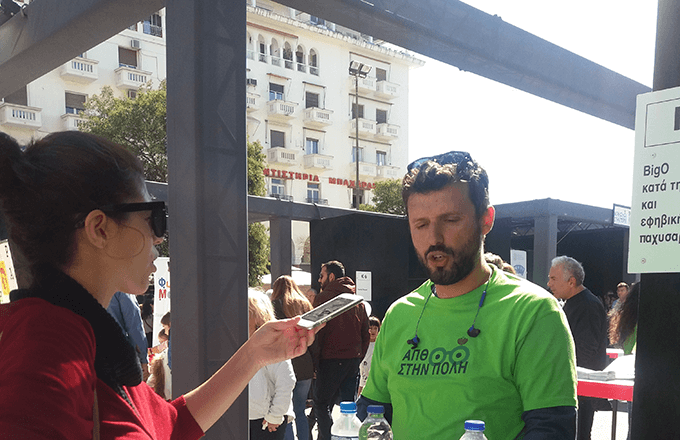 On Sunday, October 8th 2017, BigO participated in the ‘AUTH in the city’ event that took place at themain square of Thessaloniki, in Greece. This yearly event is organised by the Aristotle University of Thessaloniki and offers the opportunity to selected research groups to communicate their work, achievements and innovative ideas to the wide public of the city. 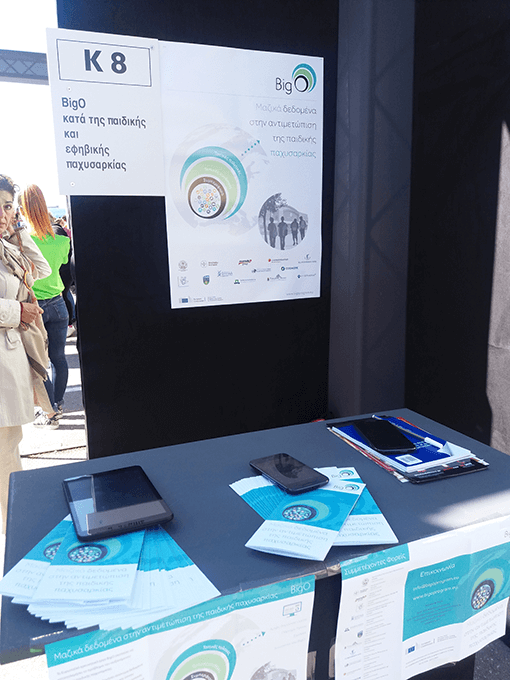 At the BigO booth, visitors could receive information about the project, walk through a demo of the mobile app and smartwatches, and directly interact with the researchers. There was high interest by nutritionists, exercise physiologists, teachers, parents, and school aged children. BigO also attracted attention by the press. An article has already been published, followed by TV and radio interviews with BigO researchers.